A Good Neighbor, An Accidental Friend, and a Christmas Surprise | Just Me With . 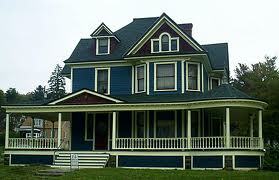 . .
My old house was not as big or grand as this, but is similar. Before my divorce, when I still lived in the big house in the nice neighborhood — also known as “The Marital Home,” “The Debtor’s Prison,” or “The Money Pit” I had some really cool neighbors, many of whom were there for me when my world fell apart. Hillary and Tom lived across the street, in a stately Tudor home. 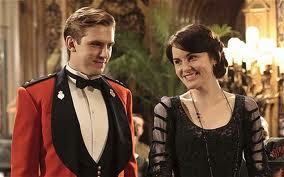 Mary and Matthew from Downton Abbey. Hillary and Tom are a older modern version. Hillary and Tom are older than I am, and well established in their careers. Both lawyers, they had worked in the same firm I had, but had left before I started there. My colleagues spoke so highly of them. I earned street ‘cred at the firm just by being their neighbor. I’m not sure where Hillary and Tom went to school, but I’m guessing there was ivy on some of the buildings. Eventually both left private practice, Tom for high-profile government work, and Hillary took an in-house corporate job. The couple moved up the ranks in their positions, with Hillary becoming a major client of the firm. Hillary was kind of a legend for younger female attorneys, she had played with the big boys and shattered the glass ceiling, or at least made a lateral move around it. What’s more, Hillary and Tom are good people. Tom is a talker, knows as much about music as he does about law (he’d been a drummer in a previous life). Hillary is not nearly as gregarious as her husband, however. She has a quiet dignity that suggests that she is not to be messed with. She’s also very attractive, and appears to be years, even over a decade younger than her years. They both worked long hours, so I didn’t see them often around the neighborhood, but I always liked and admired them both. They were a power couple, truly. In some ways, I considered Hillary and Tom to be a bit out of my league. They were connected, respected and wealthy. They were happy and well-suited, though Hillary joked that this was because they didn’t spend a lot of time together. A couple of years ago Hillary took an early retirement from her corporate job. She was undecided as to what to do next, professionally. In the meantime, she had some time off — for the first time in probably twenty years. 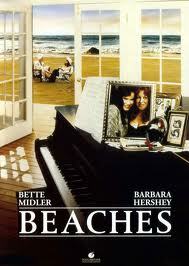 I was surprised ( shocked) when she invited all six of us to her beach house. We hadn’t spent much time together before this. But I was in the midst of a divorce and renovations on the new (hoarders) house, and I don’t think I had a kitchen at the time. I needed a break. But, I was in a bad way, my medications made me afraid to drive long trips alone. I explained this to her, deciding to be honest. She picked us up in her SUV and drove the kids and I to the beach where she opened her home to us, fed us, and let me sleep while she played with my kids on the beach. I was surprisingly relaxed there. It was nice. Hillary eventually took a new job, and we haven’t done anything together for years now, though she sometimes drops off her daughter’s (designer) hand-me-downs, and will buy whatever my kids are selling for school fundraisers. We share an educational level, and some professional accomplishments, but our lives have taken drastically different turns. I am, quite literally, on the other side of the tracks now. Last year, Hillary and another ex-neighbor dropped off gift cards for all of us at Christmas. I was completely surprised and thankful but I didn’t expect it to happen again. But again this year, a few days before Christmas, we heard a noise in the front room. One of the girls got there just in time to see the door closing and a package sitting on a table. Hillary had left chocolate and gift cards for all of us, including me — again. These are not the obligatory gifts from some aunt. Hillary is not related to us, and has no long-standing tradition of giving gifts to my kids — or me. This was clearly something that she just wanted to do, without fanfare. We were obviously home when she came by, but her stealthy elf-like drop off told me she didn’t want to talk. So, instead of calling, I emailed her to thank her. I am grateful for your friendship and especially your companionship during a time that was difficult for me. Not much time for companionship lately, but the friendship is still there. I thought I was only on the receiving end of assistance. I assumed that Hillary, like other friends and neighbors who witnessed or had second -hand knowledge of my break up and break down, was simply helping a family in need — because she had the means to do so. I never thought that I had much to give, let alone the means to help anyone — especially someone like Hillary — who seems to have it all. And I’m still not exactly sure how I helped her — but I guess I did — and it meant so much to me that she told me so. Just Me With . 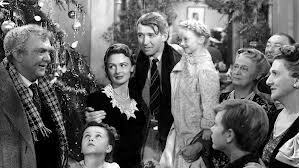 . . A Wonderful Life? Hello. I am new to your blog but I’m glad I found you. I really enjoyed reading this story and found it very touching – sometimes you just don’t realise how much you are helping others when you think you are the one who’s been given a favour. What a lovely friendship. Thank you. I’m glad you found me and enjoyed the story. It is so true that we don’t always know the impact we make even when we simply allow someone to help. I had another experience like this with my admirer post. It’s not always the amount of time or money spent, it’s when and how a connection is made. Thanks again.